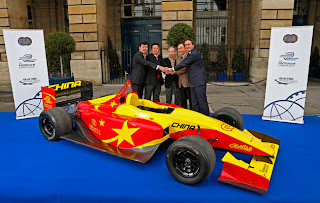 The FIA’s new electric racing formula is gathering speed with the launch today of the FIA Formula E Team China Racing. The new squad was officially proposed to the FIA as the second of ten teams set to take part in the ground-breaking zero-emissions championship, which launches next year. The announcement was made during a gathering at the Place de la Concorde in which Alejandro Agag, the CEO of promoter Formula E Holdings, and Yu Liu, the Chairman of Team China Racing, met with FIA President Jean Todt. Also present were Steven Lu, CEO of Team China Racing, and Liang JianSheng, First Secretary of the Chinese Embassy. The zero-emissions championship, which begins next year, will feature electric-powered cars racing on city street circuits. Today’s announcement follows the launch last month of the FIA Formula E Team Drayson, as support for the new series gathers momentum. While Team China Racing will initially use the Formula E customer car currently being developed by Spark Racing Technology (SRT), McLaren and Dallara, its aim is to build its own Chinese electric formula cars within three years, supported by Chinese EV manufacturers. Liu added: “Our experience in racing event management will contribute to a successful Formula E city race in China showcasing electric formula cars with a futuristic sound and zero-emissions. We also believe this is a good platform for Chinese and global EV companies to do our part to help create a sustainable planet." 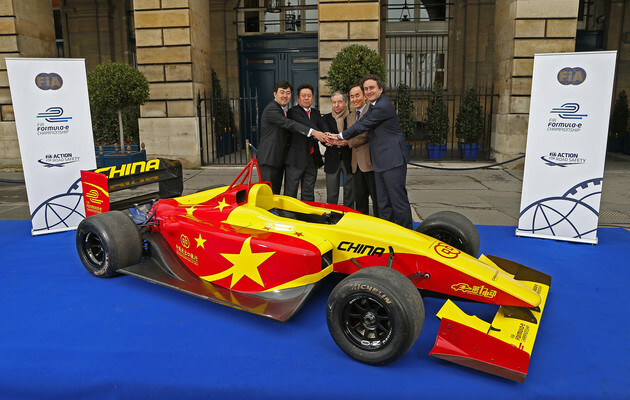 Team China Racing has previously competed in championships including A1GP, Superleague Formula and FIA GT1.